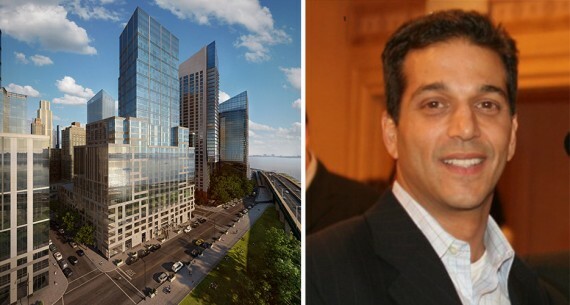 UPDATED: Sept. 12 at 11:50 a.m. Affiliates of Empire Hotel Group heir Jay Domb snapped up a condo at Extell Development’s One Riverside Park for $12.1 million, according to property documents filed with the city Friday. The Upper West Side waterfront apartment spans 4,224 square feet and includes five bedrooms and 6.5 bathrooms. It’s not clear whether Domb will live in the apartment himself or if the purchase was made on behalf of someone else in the family. Two of the three LLCs used to purchase the apartment are named after the grandchildren of Jay Domb’s father, Sam Domb. The LLCs are also registered to an apartment owned by Sam Domb. One Riverside Park, a 219-unit waterfront building on Riverside Drive and 62nd Street, hit the market in 2013 with much fanfare. About 10 percent of the units were available for sale as of June, as The Real Deal reported. Prices initially ranged from $1 million to $25 million, although the priciest listing, a 5,700-square-foot condo, has since dropped from $25.75 million to $21 million, as did several others. The mother of Jay Domb’s son in Brazil sued the hotel heir last year and was seeking at least $4,500 a month in child support payments, the New York Post reported. A judge ruled in 2014 that Jay Domb was required to pay at least $2,000 a month in child support. Empire Hotel Group, now headed by Domb’s brother Ronald Domb, in April bought the 15-story Milburn Hotel at 242 West 76th Street for $69.4 million, TRD reported. Correction: An earlier version of this story misstated the location of One Riverside Park.